Inspired by the goals of the worldwide “Baby-Friendly Hospital” initiative, the Health Education UBT at the Manteca Medical Center in Northern California set out in early 2012 to increase the percentage of new mothers who exclusively breastfeed. At the time, the number stood at 70 percent. Steps emphasized by the initiative, sponsored by UNICEF and the World Health Organization (WHO), include training health care staff to inform every pregnant woman of the benefits of breastfeeding and to help mothers begin breastfeeding within one hour of giving birth. The challenge was that while Manteca health educators provided prenatal services to expectant mothers, the moms went to Modesto to deliver their babies. The Manteca employees didn’t always learn whether their patients ended up breastfeeding. In order to make sure their patients were getting full support for breastfeeding as they made the transition from prenatal care to labor and delivery and beyond, the members of the Manteca UBT reached out to their hospital colleagues. “As a Health Education department, we provide breastfeeding education during their prenatal care, but we were not reaching 100 percent of…moms after they switched to hospital services,” says Maria Prieto de Milian, a health educator, lactation consultant and active SEIU-UHW representative on the Manteca UBT. “There was not a consistent breastfeeding message. The Manteca team, which meets monthly, is linked to a larger Health Education UBT at Modesto. The larger team meets quarterly and includes Modesto employees as well as the employees from the smaller teams at Manteca, Tracy and Stockton. Working with the larger Modesto UBT and with full support from the Women’s Health department, the Manteca team set in motion a collaborative approach to breastfeeding support involving health educators, lactation consultants, physicians, pediatricians, medical assistants and nurses. This includes hospital employees encouraging observance of the “golden hour” immediately after birth, when a newborn is placed skin to skin on the mother’s chest to promote bonding and breastfeeding. The team worked with other employees to make sure mothers-to-be were asked about breastfeeding at the regular 28-week prenatal visit, and that their questions or concerns were directed to lactation educators for follow-up. The results were dramatic. By the end of 2012, 92 percent of Manteca prenatal care patients who delivered at the Modesto hospital were exclusively breastfeeding. The umbrella UBT decided to spread Manteca’s idea. “The breastfeeding initiative is now regular workflow throughout the Central Valley,” Salcedo said. 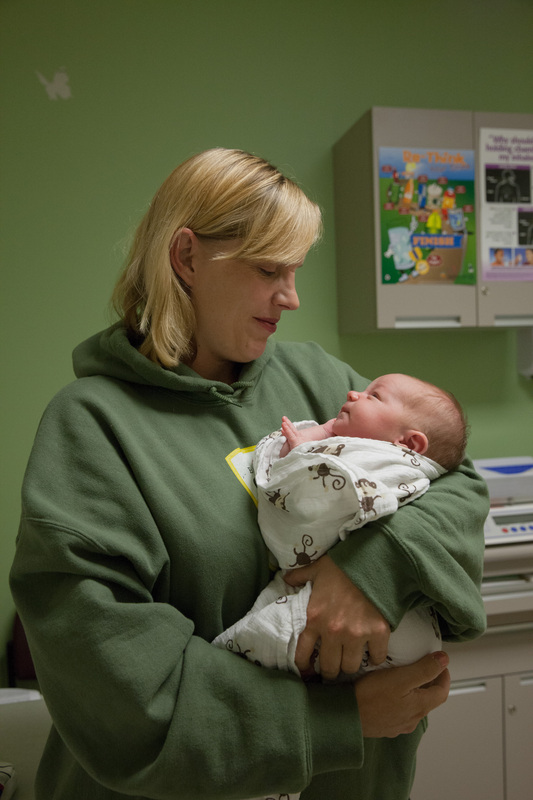 At the time the Manteca UBT started its effort to improve breastfeeding rates, the Modesto hospital was working to achieve the Baby Friendly designation from the UNICEF-WHO program. After making significant progress toward that goal, it switched its focus to implementing the Northern California region’s Breastfeeding Toolkit, a new program that encompasses the same goals. It's now been almost two years since the small tests of change, and Prieto de Milian says the Manteca UBT no longer is tracking the rate for its moms, viewing the project as a continued success. New ideas are continually being added to strengthen the process. These include the advice call center providing 24/7 breastfeeding support while also scheduling follow-ups to the calls with lactation educators. In addition, lactation consultants are available to assist pediatricians by phone or by email on KP HealthConnect® during patient appointments. With everyone’s minds and hearts on one goal, Salcedo and Prieto de Milian say, teamwork was seamless. What I like about the UBT is it’s a joint effort. We have really good lactation educators who think outside the box, search for best practices and apply them. They went ahead and ran with it and made the recommendations. Management supported them all the way. Caring for the Caregivers Easing the burden that falls to patients’ family, friends. California Governor Honors Our Partnership Jerry Brown honors LMP for making California a better place. A Model for Today How our unique Labor Management Partnership gets results.